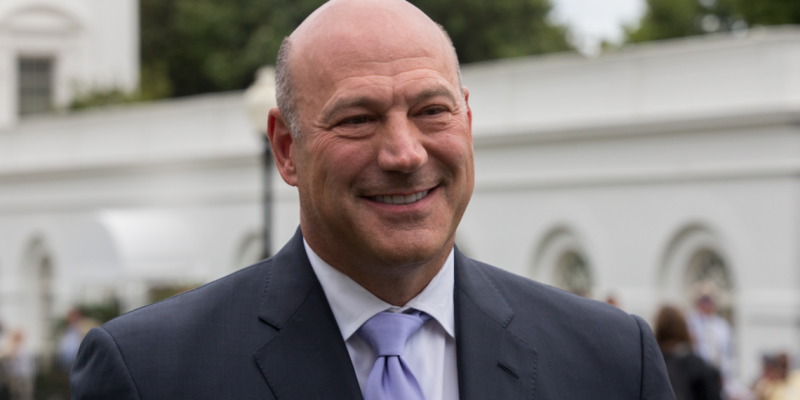 Gary Cohn, a former chief economic advisor to U.S. President Donald Trump, has just joined a blockchain startup. Spring Labs, a firm developing a blockchain network for sharing financial data, said in a press release Friday that Cohn, who was also previously president and chief operating officer of Goldman Sachs, is joining its board of advisers. The U.S.-based startup’s Spring Protocol is a blockchain-based network that enables exchange of information without sharing underlying source data, the release states. Initially, the network is planned to allow sharing of identity, fraud and underwriting information among financial institutions. “We’re beyond excited to work with [Cohn] to execute on our vision to transform how information and data are shared globally across a host of major industries,” said Jiwan. Aside from his 25 years at Goldman Sachs, Cohn most recently served as director of the U.S. National Economic Council, the main forum used by U.S. presidents for economic policy matters. As the chief economic advisor to President Trump, he oversaw the administration’s economic policy agenda at home and abroad, and led its efforts to grow the U.S. economy through tax and regulatory reform.